The Arizona fabric giveaway is still going on! You have until 5pm PDT on Friday, August 29, to enter. 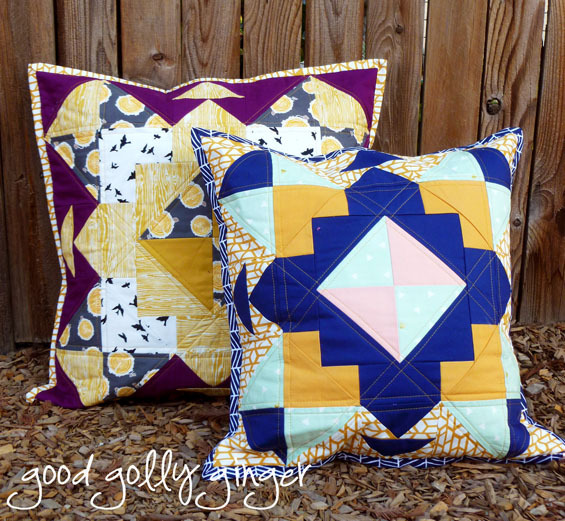 This week, I completed two Sand Drift block pillows. The Sand Drift block is lovely all on its own. I used some complimentary scraps from my fabric stash for the pillow backings. 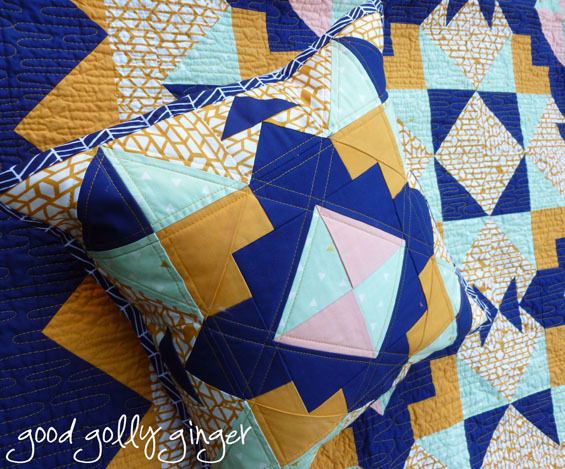 The Sand Drift quilt now has a matching friend. They look so happy together! You can find the Sand Drift pattern here. Nice cushions and I like those vibrant colors! 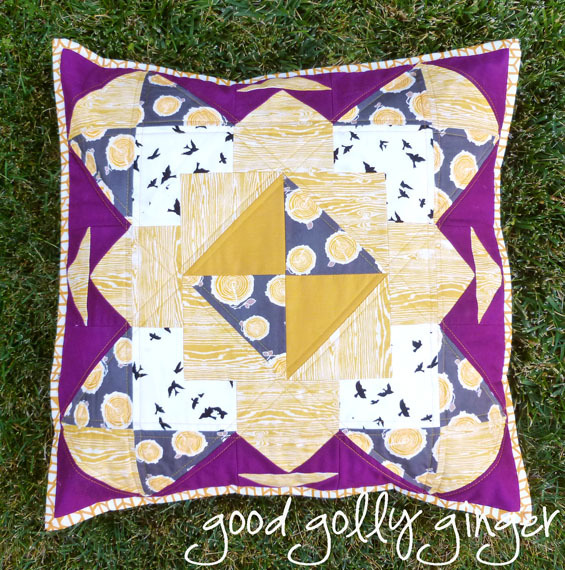 I still love the colour scheme you used for the Sand Drift quilt and it works so well as a pillow, too! It's also exciting to see how the block looks with other colours. Such a cool design!! 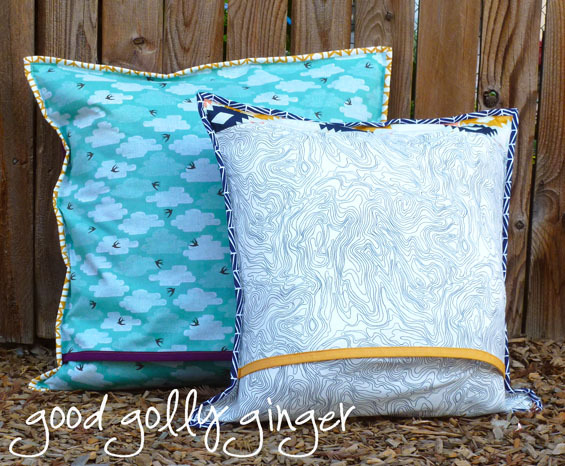 The pillows look great, and I am super biased toward the original colors because of my love of blue! They both look fantastic, though!